Bay Trail processing power, with 10.4" resistive or projected capacitive touchscreen with IP65 rated bezel. 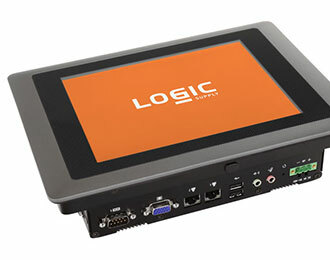 Ideal for HMI and multi-display applications.  The CV-110-P1001 panel PC is powered by the Quad-Core Intel E3845 Bay Trail processor, combining energy efficiency with multimedia-capable power. All this is packaged with a slim, responsive, touchscreen panel that's available with 5-wire resistive touch suitable for gloved users in industrial settings, as well as a multitouch-capable projected capacitive touchscreen panel. Despite using less than 25 watts, this panel PC tackles HMI and advanced kiosk applications with ease. The CV-110-P1001 features a clear and bright panel display that's available with either a 5-wire resistive or multitouch-capable projected capacitive touchscreen. This sleek panel PC system is wall, panel, and VESA mountable for the utmost in versatility and ease of use. 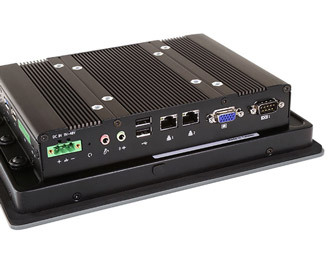 Wrapped in a solid aluminum chassis with an IP65-rated front bezel, the CV-110-P1001 is sleek enough for customer-facing applications, yet rugged enough for warehouses and plant floors. Gone are the days of the underpowered, unresponsive touchscreens; the CV-110-P1001's 10.4" full-color display can handle interactive media as well as complex HMI interfaces. The CV-110-P1001 has a maximum brightness of 400 nits, but is also available with a sunlight readable display with a maximum brightness of 1600 nits, simply contact us for more information. 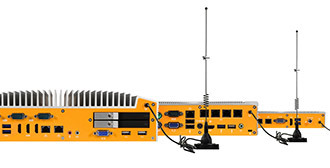 Integrated into the CV-110-P1001's sleek form factor is an impressive arrangement of I/O, enabling simple connectivity no matter the application. 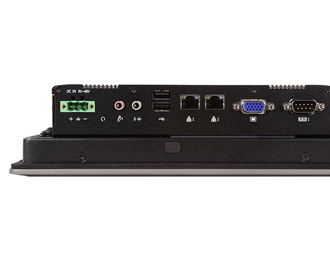 The panel features dual Gb LAN, 4 USB ports, as well as VGA and a DisplayPort for secondary display connectivity. Dual COM ports and 8-bit DIO allow for easy communication between integrated monitoring devices or other peripherals, making this solution ideal for HMI, DAQ and industrial control applications. 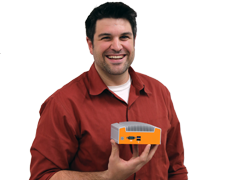 The system features a 2.5" storage bay and also offers a PCIe Mini Card slot. Its 9~48 V DC input makes it well suited for industrial settings or installations with fluctuating power. 11.6" x 8.9" x 2.6"